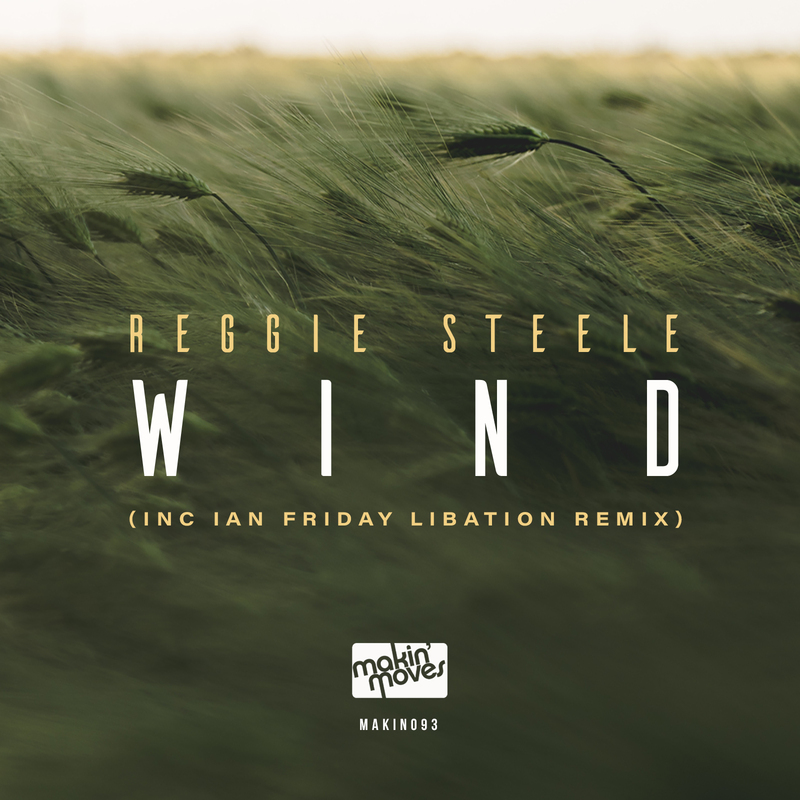 Welcoming back once again to Makin’ Moves Records, none other than Reggie Steele with another banger for the dancefloors. Last year Reggie dropped a hot remix on the Viola Sykes track “My Luv” which is still getting a lot of love from many club and radio djs. Wind is here first single on Main’ Moves and we’ve been very excited about this one for sometime catching you with a deep hypnotic yet melodic vibe arranged with smooth vocals sung by the man himself. And to top it off, we have Ian Friday (Global Soul Music) also from NYC giving his take with the Libation Remix which is the icing on this package. Strictly for the soulful dance music lovers. We hope you enjoy this as much as we do!! Reggie has been busy performing at the Shelter party in NYC earlier this month and hopes to take his singing talents to other parts of the world later this year! This release is available as an exclusive promo from Traxsource.com from Friday 8th March. It’s Thursday night and you’re already thinking about the weekend, you’re one sleep away but you’ve got itchy feet and want to start the weekend early! 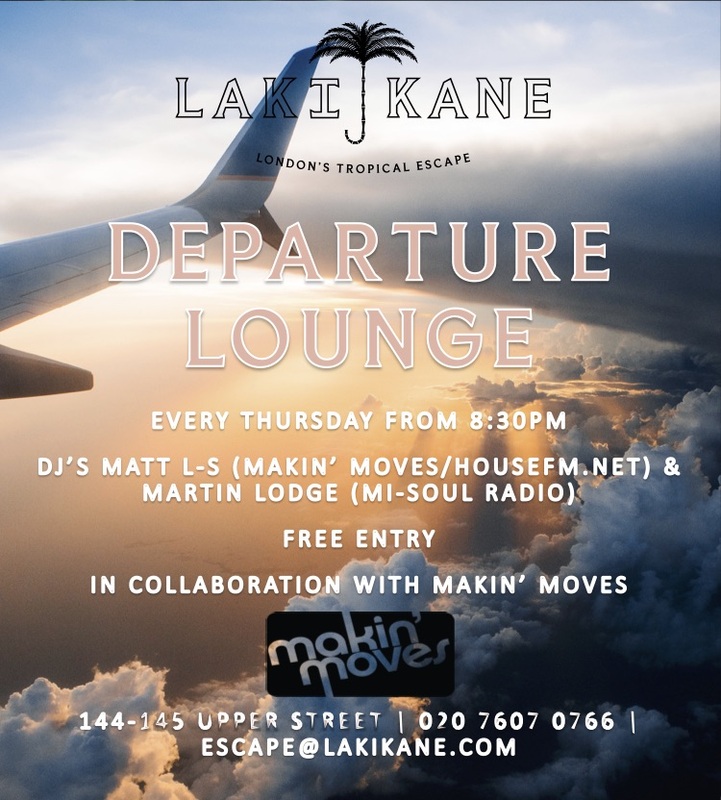 Departure Lounge brings you top class DJ talent in the form of Makin’ Moves resident DJ Matt L-S and Mi Soul’s Martin Lodge who have been whisked in especially for this night as they take you on a musical journey from soul, to jazz, to Motown and soulful house inside this fabulous venue. The cocktails are like no other and the blend of music, drink and the background of this paradise will soon get you thinking it was all worth that hang over on Friday morning! Arrive early before 8.30pm for a complimentary rum punch on the house! Discover this award-winning tropical escape, kick back and leave the world behind.